Which Schools Provide the Best Bang for Your Buck? Best Value Colleges: Which Schools Provide Best Bang for Your Buck? If you're a parent helping one or more children to pay for college, cost is likely to be a top concern. Looking for the best value colleges may be on your to-do list if making your money stretch as far as possible is a priority. But what constitutes value? And how do you determine a school's true value, beyond the cost of attendance? Here's everything you need to know. The interests of your student also need to be taken into account. For example, one student might value a school that offers a specialized degree program or the potential to participate in an internship with a high-profile company, while another may place more value on smaller class size or a larger financial aid package. With that in mind, this list highlights the 10 best value colleges for the money. MIT ranks highly in value for students interested in pursuing engineering, computer sciences, and similar STEM fields. The net price on average is $21,576 annually after financial aid packages (including scholarships and grants) are factored in. That's higher than the national average of $15,523 but students get their money's worth after graduate. Six months after they graduate, they're earning a median of $94,200. Just down the road from MIT is Princeton University, where 60 percent of students receive need-based grants. With financial aid included, the cost of attending is $16,793, which isn't much higher than the national average. After graduating, Princeton alums earn a median of $66,700 and it's a haven for students looking for a degree in public policy. Princeton's ivy-trimmed campus and small class size adds to its appeal. The University of Pennsylvania is a top-rated school for students interested in a degree in business, accounting, finance or nursing. Price-wise, it's on par with MIT, at $22,944 per year but grads have a 95 percent employment rate and 88 percent of grads feel confident about their ability to find a job after finishing their degree. Class sizes are a bit bigger here but on the upside, a larger student body means a broader scope of extracurricular activities and student organizations. UNC is known far and wide for its legendary basketball team and rivalry with nearby Duke University but there's much more to appreciate. For starters, it's affordable; students $10,077 year to attend after scholarships, grants, and other financial add is added in. Ninety-one percent of students graduate and 93 percent are employed within two years of graduation. The median salary for grads is $54,100, a little lower than some of the other schools included here, but that's balanced with a rich campus life. UCLA offers a yearly net price of just $14,200, with students receiving an average financial aid package of $18,769. Being a Bruin might appeal to students who are looking for a research school among the best value colleges and don't mind living in a bigger, busier city. UCLA is also academically and ethnically diverse, with over 125 majors and a student population that includes a sizable percentage of international students. While Brigham Young primarily serves Mormon students, you don't need to be a member of the Church of Latter-Day Saints to attend. As a research school, BYU offers a broad range of major options and with 70 percent of students receiving financial aid, the cost of attendance is manageable. The total annual cost is $17,710 and the starting median salary for grads who earn a bachelor's degree is $57,600. 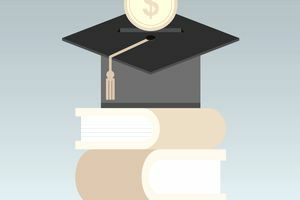 But, grads have long-term earning power, with the mid-career median salary rising to $114,400. Boston College is on the pricier side, with annual tuition totaling $54,600 but the average freshman receives $42,690 in need-based aid, cutting the price significantly. BC students enjoy a robust campus life, with over 225 student organizations and 44 percent participate in intramural sports. Eleven percent of grads go on to careers in the STEM fields and by mid-career, they're earning a median salary of $118,900. Georgia Tech is renowned for its football team but it also holds its own academically. The admissions process is competitive but the reward is a low tuition rate for those students who are accepted. In-state tuition is just $10,004 per year and the average freshman receives $7,831 in need-based aid. The return on investment is a median starting salary of $68,100, with many grads going into tech and research fields. Harvard University is highly selective academically but surprisingly affordable, making it one of the best value colleges in the Ivy League. The median starting salary of Harvard alums is $63,100 but by mid-career, grads earning a median of $147,500. In terms of financial aid, 55 percent of students receive some type of need-based aid, bringing the steep annual tuition down to a reasonable $16,338. The University of Florida doesn't offer much in the way of small class sizes––annual enrollment tops 35,000––but it offers top-shelf academics, competitive sports and it's not too painful on the wallet. In-state tuition is a mere $6,381, while out of state tuition approaches $30,000. But, students have numerous opportunities for scholarships and grants, not to mention an after-graduation median starting salary of $52,200.